Parature’s goal is to give businesses the tools they need to provide 100% of their customers with a positive engagement experience. Parature, a global leader in cloud-based customer service software, hosted service and support professionals across key industries recently at its 2013 ParaFest users’ conference. The four-day event was held at the Hard Rock Casino and Resort in Las Vegas, Nevada, and concluded with the announcement of Parature’s product roadmap and general availability of Parature’s new Social Monitor. Parature’s Social Monitor provides a solution designed specifically for customer service teams, giving organizations the ability to proactively monitor real-time conversations on Facebook and Twitter and leverage advanced workflow and routing among multiple teams or departments to resolve inquiries in a timely manner. Additionally, the Social Monitor is seamlessly integrated into Parature’s multi-channel solution to incorporate social customer data, feedback and a complete history of all social customer service interactions, providing a true 360-degree view of the customer. “Parature’s goal is to give businesses the tools they need to provide 100% of their customers with a positive engagement experience on social media to drive increased customer satisfaction, brand loyalty, customer retention and brand reputation,” said Duke Chung, Chief Marketing Officer and Co-founder of Parature. The 2013 Parature users’ conference recorded the highest attendance in the event’s history and featured keynotes from Parature CEO Ching-Ho Fung, Parature Co-founder Duke Chung, former Blackboard CEO Michael Chasen, customer service expert Jeanne Bliss and IBM support executive Paige Newcombe, emceed by author Dayna Steele. “I took so much away from the experience. Customer service has always been my 'soapbox' and Parature does it right,” said Steele. Customer service and support professionals across major industries including federal government, higher education, retail, software/tech, gaming, media and more also attended three days of training and educational sessions led by Parature staff, customers, CRM industry analysts and Zappos Insights culture evangelist, Jon Wolske. Topics ranged from improving the customer experience to emerging customer service trends and evolving channels, including social media and mobile. This year’s ParaFest was sponsored by Angel, Cazoomi, Higher Logic, Houndstooth Consulting, LogMeIn, Metaverse Mod Squad, Microsoft Dynamics CRM and Regroup. 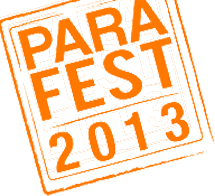 The dates and location for ParaFest 2014 are forthcoming. For additional information, visit http://www.parafest.com or http://www.parature.com. Parature is the industry’s leading provider of cloud-based customer engagement solutions and is used to support approximately 55 million end users worldwide. Parature empowers customer service organizations to monitor, manage, resolve and respond to a high volume of service issues across multiple communication channels, including the growing number of service-related conversations that are happening every day within social media channels. With more than a decade of experience, Parature delivers support and social media engagement and management solutions to mid-size and enterprise organizations across a wide variety of industries. Parature is among the Deloitte Technology Fast 500 and is the recipient of numerous product, technology, and leadership awards including the 2013 CRM Watchlist and the Inc. 500 | 5000 Fastest Growing Companies. Parature is used by some of the world’s most innovative organizations, federal agencies and companies, including IBM, Ask.com, the EPA, Tagged, the National Network of Digital Schools and Threadless. Parature is headquartered in Herndon, Virginia. For more information, visit http://www.parature.com, follow @parature on Twitter, or like us on Facebook at facebook.com/parature.